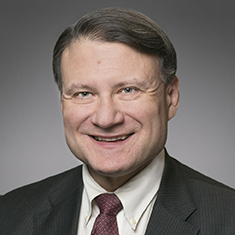 Rick provides extensive advice regarding possible impacts of the Dodd-Frank Wall Street Reform and Consumer Protection Act and related regulatory rulemakings. Additionally, he provides time-sensitive advice on securities trading, ownership reporting and other investment regulations to a broad range of clients. In 2019, Rick was selected to sit on Law360's Compliance Editorial Advisory Board. Shown below is a selection of Richard’s engagements. Provision of counsel to an institutional, agency-only broker regarding its program enabling users to separate trading from research. Successful negotiation of settlements of SEC and SRO actions on behalf of brokerage firm, premier capital markets investment bank and numerous market timers. Provision of counsel to a global financial services firm on "unbundling" research and brokerage. Principal outside counsel to numerous money managers. Successful defense of Nicholas Howard through trial and appeal; obtained victory in the US Court of Appeals for the District of Columbia Circuit. SEC counsel in administrative proceeding trial against individual; minor sanction imposed. Defense of individual against insider trading and 13(d) allegations; entered plea mid-trial. Defense of numerous SEC and FINRA investigations involving insider trading, market manipulation, failure to supervise, market timing, financial fraud, conflicts of interest and disclosure issues.